Glenn is a career international journalist and the Founder of VanMedia Group Pte Ltd, a worldwide media consultancy. He is a recognized communications expert, engaging global speaker, meeting facilitator, and host. Over 12 years Glenn has coached more than 1000 high-performing business leaders, journalists, government officials in ASEAN, Europe, North America, Africa, and the Middle East to be confident, concise & captivating communicators. * Confident, Concise & Captivating Communication: know when to talk, when to listen, when to walk away! Every business knows that the best customer is a happy customer. They return again and again, bring their friends and family, and deliver tons of free advertising via word of mouth and social media. But in order to grow that loyal base, you must be keenly aware of your customers' needs and preferences. 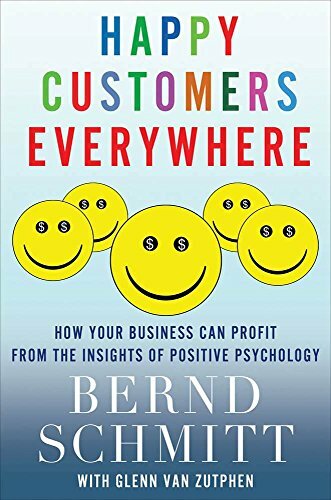 • The Feel-Good Method: Use the experience of pleasure and positive emotion to hook new customers, and watch those feel-good moments transform an impulsive buyer into a committed loyalist. • The Engagement Method: Get customers to notice a unique or limited offer, immerse them in the experience, and have them share it with friends and family. Schmitt & van Zutphen show marketers, brand managers, and entrepreneurs how to design an authentic and successful campaign that will reach, grow, and sustain a devoted base of customers.